This was pretty easy for even me to figure out how to use. I bought it to hook up to my laptop to show a documentary to a group and it worked perfectly. The color and clarity was just what I was looking for. 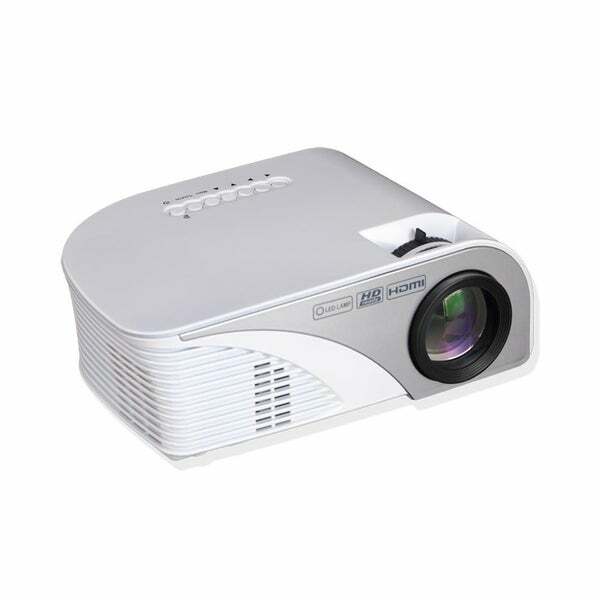 This projector is perfect for indoor and outdoor use. We bought screen at the same time with the intention of movie under the stars. I am very impressed with the crisp & clear images on the screen and on an inside wall. Sound is great too, but when adding another overstock favorite speakers camouflaged as rocks came together brilliantly. I can’t wait to host more Movie under the stars. Good for price, very small and compact. Although it makes a sound when its on, but not too loud with louder speakers. One other thing I noticed is that, although it may be hard to tell after a while, it is not evenly clear on all sides of projection. Some parts ae clearer than others most of the time, regardless of how we change the view. But not too bad! Good for price! Very good projector to use outside. "What is the weight of the projector?"